With a number of races cancelled due to the flooding Henley Rowing Clubs junior girls crews got their first race of the New Year by taking to the Tideway last Saturday to compete in the Quintin Head. 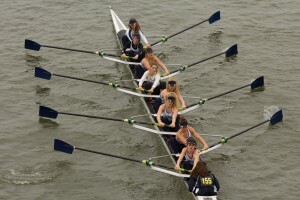 Raced over 4600metres from just below Hammersmith Bridge to a few hundred metres past Chiswick Bridge (the point where the Oxford and Cambridge disembark after the Boat Race) the event attracted over 220 crews of which 20 were junior girls crews. 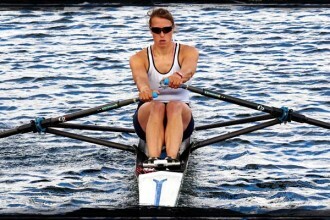 Three crews competed from Henley one in each of the three age categories WJ15, WJ16 and WJ18. The WJ18 crew of Alicia Redman, Emma Lister, Lauren Kay, Lily Stimpson, Clare Pearson, Georgia Edwards, Ella Morgan, Florence Wiggins and cox Ella Nolson, won their division despite being forced early in the race in to dead water due to slower crews not giving way. Also winning their division was the WJ16 crew of Tilly Lock, Ruby Brown, Grace Johnson, Mary Wright, Georgie Robinson Ranger, Lottie Orr, Eve Poulter, Issy Jonsson, cox Freya Reid. 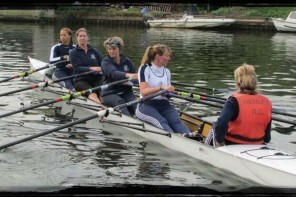 These girls have been producing excellent results in training beating older crews on a number of occasions. They showed the ability to transfer this into there racing as not only did they win their division but they were the fastest Junior crew overall. In WJ15s Bobbie Miles, Esther Morgan, Ruby Borg, Jess Arlett, Sophia Hahn, Felicity Parfitt, Caoimhe O’Donohue ,Amelia Crick cox Emeline Warner, finished second just 4secs behind Latymer UpperSchool. 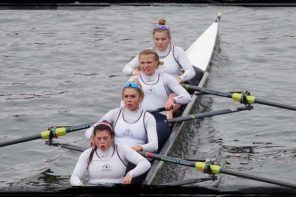 This was a vast improvement by this crew who at he end of November at Wallingford Head finished second to Latymer but where over a minute behind them. 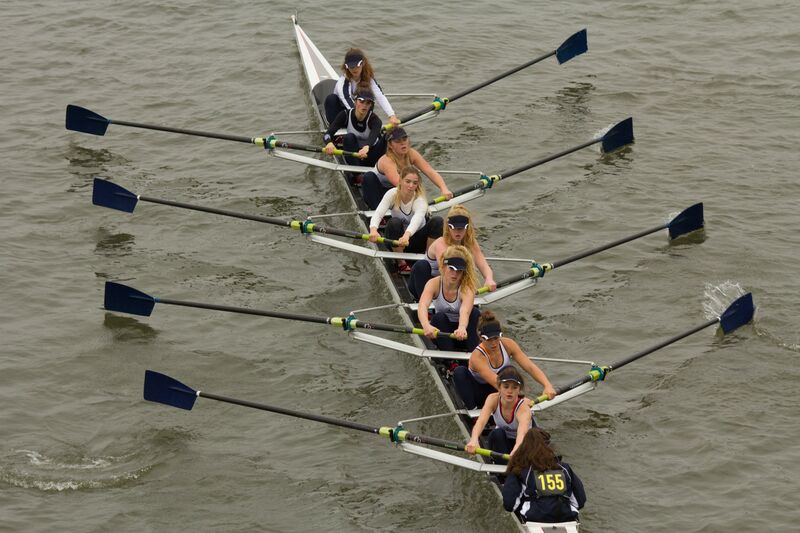 Of the 20 junior crews the Henley Crews finished first, second and fourth overall so even the Henley J15s beat all the other J18 and 16 crews an exceptional performance by all these girls.